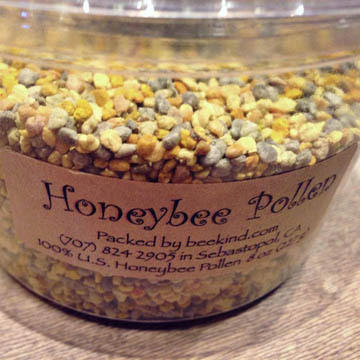 Bee Pollen is an amazing source of Protein, Vitamins and when taken regularly may help alleviate allergies. Please refrigerate Fresh Pollen as soon as possible. It can last up to a week un-refrigerated and is shipped straight from our freezer.